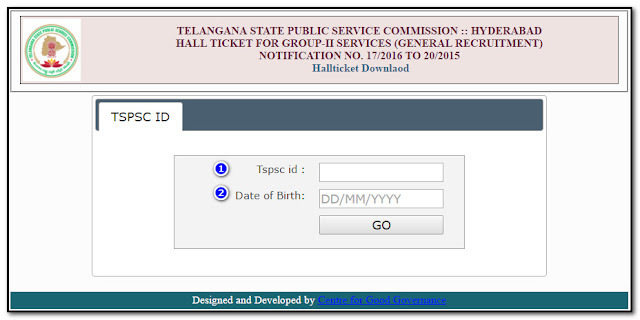 TELANGANA STATE PUBLIC SERVICE COMMISSION:: HYDERABAD released 1,032 Group-2 Posts. In this month 11th and 13th the tests will be conducted.for the 1,032 posts the application was totally 7,89,985 received. this month 11 and 13th nov 2016 the exam will be started morning 10 :00AM To 12:30PM and 2:30PM To 5:00PM . On the date 11 nov 2016 Paper 2 and Paper 4 was conducted and another day 13th nov 2016 Paper 1 and Paper 3 was conducted by the govt rules. Totally there are 1911 Examinations centers was arranged in Telangana State. There are some Warnings and Notes for who are ready to write exam to avoid the Malpractice..
Do not Come with the wearing of Shoes . If Your Sign is not clear in the Hall ticket then you should take two passport size photos. after full verification your allowed. The gates will be open 8.15 to 9.45 after 9.45 do not allow the applicants for the afternoon exam the gates will be open 1.15 and closed 2.15 so you should attend and wait before one hour. The Attendance will be taken by the Bio Metric type. and compared the photo and TSPSC application Photo So take some copies of photos. We can use Blue or Black Ball Pen Do not use Jel or Ink pens. This window will be Open then type your TSPSC OTR (one time registration ID) and Date of Birth the Your name was displayed now click on download button thats it your hall ticket shown.. Immediately print the Hall ticket and verify it. If have any error must report in the examination hall. verify your center name and one day before you must go and see the college which you should go there easily .